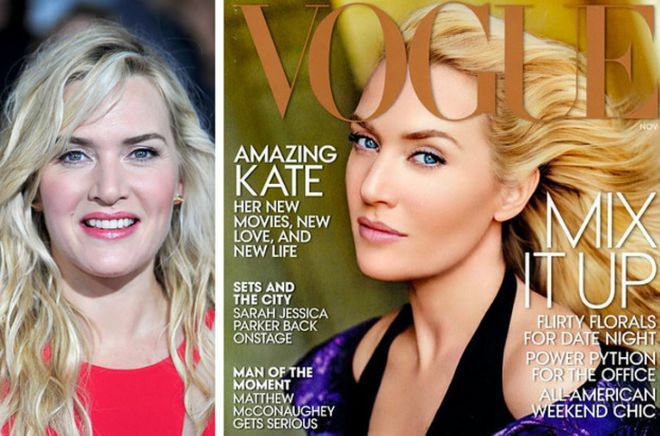 Kate Winslet’s face has been airbrushed so significantly in this Vogue cover image that she almost doesn’t look human. Her complexion and eyes have totally changed color, and any sign of a wrinkle has been completely erased. Thanks for sharing the information., It was really eye opening. Do you have anything like this for INDIAN ACTRESSES ?